Latvia broke the hearts of Danish ice hockey fans with a 1-0 win in last night’s final group game in Herning, sending the hosts crashing out of the tournament. Andris Dzerin’s lone goal for the Latvian side ended Denmark’s dreams of advancing to the quarter-finals of the 2018 IIHF Ice Hockey World Championship on home ice. Herning’s Jyske Bank Boxen was packed, with 10,800 people attending the game. The result means Denmark have officially come in tenth place. Goaltender Frederik Andersen, meanwhile, is currently ranked fourth after an impressive tournament in which he managed a 94.38 percent save ratio. Hopes were high, as Denmark and Latvia have been fair equally matched over the past few years. The teams had previously met five times with Denmark winning three. But this defeat will hurt as Latvia beat Denmark 3-0 at last year’s World Championships. 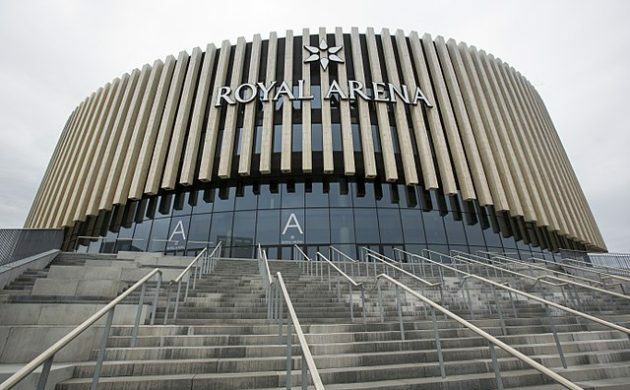 Latvia’s reward is a quarter-final against Sweden at Copenhagen’s Royal Arena at 20:15 on Thursday. Russia take on Canada in Copenhagen at 16:15, while the US will play the Czech Republic during the same time-slot in Herning. The evening game at the Jyske Bank Boxen pits Finland against Switzerland. The games are being broadcast in Denmark on TV2 Sport and TV2 Play. Both the semi-finals and medal games will be played in Copenhagen. Times for the semi-finals will be decided following the quarter-final games. The final is on 20 May.